This is an ideal project for new Wordappers to get started using Wordapp. 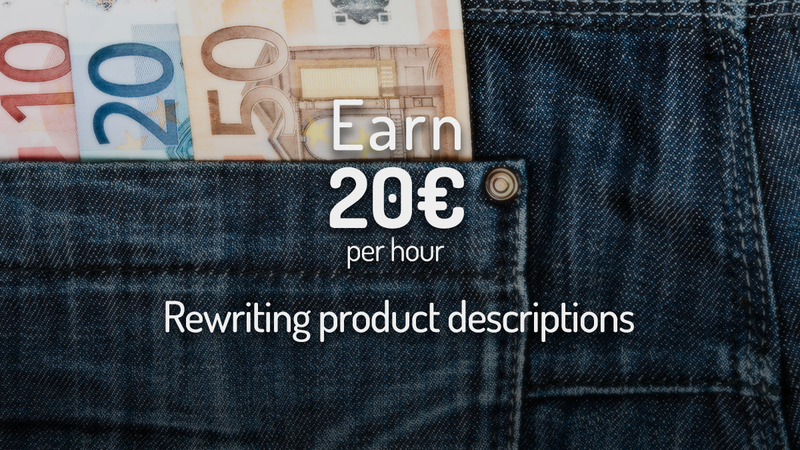 Take a look at the video below and see how Christian rewrites some product descriptions on this entry-level project making 20 EUR per hour. With the help of this video and Wordapp, anyone good at language can make money as a freelance writer. There are literally 100’s of tasks available, so plenty to go around! This project is available in Norwegian, Swedish, Finnish and Danish. Check for “Skruvat” in your task feed. Don’t wait! Join Wordapp as a writer to get started right away, or sign up for a workshop where we help you write and get paid for your first text. If you’re in need of SEO content sign up as a publisher!